Liquid Gold Original Wood Cleaner & Preservative is easy applied in an Aerosol can. You of course can get this product in many other forms as you can see above. The deep penetrating action works against dust, dirt, age and use, along with drying and cracking caused by heating & air conditioning systems. It even inhibits warping, shrinking, and color loss. Carefully maintaining the beauty of your wood and prolonging it's life and features. Read my full review on this product by going here. 10oz. 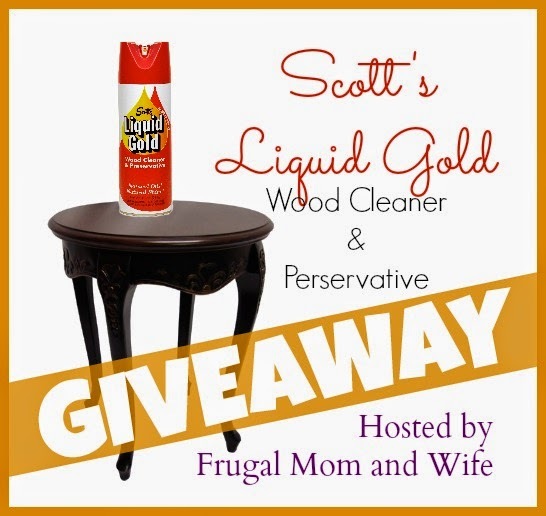 Scott's Liquid Gold Wood Cleaner & Perservative!